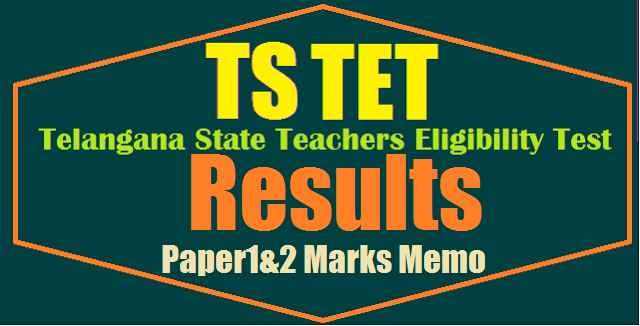 TSTET 2017 OMR Sheet Download and check your Answers with Marks manabadi.com ts tet results 2017 for paper i, ii declared on 4th August 2017 check ts tet results name wise at tstet.cgg.gov.in , http://ts6thtetjunresults170308.cgg.gov.in/tstetresults71286.tstet ts tet 2017 rank card download, ts tet 2017 merit list available @ tstet.cgg.gov.in TS TET Results 2017, TSTET Paper 1 & Paper 2 Result .Telangana TET-2017 answer keys available to download| TSTET Official Initial Key/Preliminary key- 2017 Medium Wise Released TSTET-2017 TS Teachers Eligibility Test enswer keys for exam conducted on 23rd July 2017 TSTET-2017 Notification- Telangana Teachers Eligibility Test Online Applications at tstet.cgg.gov.in. Apply Online for TSTET-2017 as Schedule for Telangana TET is out.. Good news for intended candidates to become a teacher. Telangana Govt TSTET-2017 Notification details Date of Notification Fee payments, Online Application Last Date Download of Hall Tickets Results and many more details revealed by the Education Department of Telangana State. TET Syllabus for Paper I and Paper II Languages and Non Languages Science and Mathematical Groups. DSC Aspirants in the State of Telangana have to be ready for the Battle to win as Govt Teacher.Online applications are invited from the eligible candidates who intend to be teachers for classes I to VIII in schools in Telangana State for appearance in the First Telangana Teacher Eligibility Test (TS-TET 2017) to be conducted by Department of School Education, Government of Telangana State in all Districts of the State. ts tet 2017/telangana tet 2017/ts teachers eligibility test 2017 notification, online application form, how to apply, last date for apply online, exam date, eligibility criteria, fee details are given here. Telangana State Teacher Eligibility Test (TSTET) is conducted by Department of School Education, Government of Telangana in order to shortlist candidates for appointment as teachers for Classes I to VIII in Telangana State. All candidates who have qualification in B Ed/ D Ed/ Language Pandit or equivalent are eligible to apply for TSTET 2017 exam. For teacher recruitment conducted by the State Government, 20% weightage is given to TSTET score and 80% weightage is given to the written test conducted in Teacher Recruitment Test (TRT). TSTET exam is conducted once a year in the month of April/May. TSTET 2017 dates are not out yet. However, TSTET 2017 to be conducted on July 23. Telangana TET result 2017 available at an official portal http://tstet.cgg.gov.in/. As per sources, the Telangana Education Department is soon going to declare TS TET Results 2017 of Paper-I and Paper-II exam by publishing it through authorized site on 4th August 2017. We hope this latest news will provoke those candidates who attended Telangana Teacher Eligibility Test on 23rd July 2017 for teaching jobs in various schools of the state. Ever since the examination is over, every single participant curiously looking for the date of releasing TS TET Merit List via online sources. Here, we inform everybody not to worry as your exam result along with merit list will be out soon in upcoming days. At present, the Telangana TET cut off markscategory wise is available at the main site and also here on this web page. At the bottom of this article, we have placed a quick link to check TSTET result, so that candidates can verify their selection status. Read out this article for more useful information. All the candidates who have appeared for TSTET 2017 held on 23.07.2017 are hereby informed that the ‘Final Key’ of the Question Papers is released on 29.07.2017 and the same can be downloaded from TSTET website www.tstet.cgg.gov.in. All the candidates who have appeared for TSTET 2017 held on 23.07.2017 are hereby informed that the 'Initial Key' of the Question Papers is released on 24.07.2017 and the same can be downloaded from TSTET website www.tstet.cgg.gov.in. Objections of the candidates on the 'Initial Key' can be submitted only 'Online' at www.tstet.cgg.gov.in from 25.07.2017 to 27.07.2017 (5.00 PM). Objections in any form other than 'Online' shall not be accepted. The 'Final Key' shall be released on 29.07.2017. There is no restriction on the number of attempts a candidate can take to acquire TET certificate. The official website states, “A person who has qualified in the TET examination may also appear again for improving his/her score.” the candidates who got qualified in the earlier TETs can also apply for first TS-TET if they desire improvement over their previous TET score. TS-TET will be conducted as per date in all the Districts of the State. TS-TET shall be conducted in all the 10 Districts of the State. Candidate can choose any Examination Centre (District) of his choice. However, when the capacity of any particular Examination Centre (District) gets exhausted, that particular Examination Centre (District) will not be displayed in the list of examination centers given in the online application form. In such case the candidate has to choose the Examination Centre (District) of his/her choice from the remaining list available. The candidates at the time of applying for TS-TET 2017 should be in possession of the minimum qualifications prescribed for a teacher for I to V classes (Paper-I) and VI to VIII classes (Paper-II) as given in Information Bulletin. The candidates who are pursuing final year of any of the Teacher Education Courses recognized by the NCTE or the RCI, as the case may be, and / or the Language Pandit Training Courses can also appear for the First TS-TET 2017. Applicant’s age should not less than 18 years and not more than 35 years. Age relaxation for reserved category candidates as per rules. Applicants who want to get a seat in this exam they all should have passed out graduation degree with B.ed from a recognized university. To check deep details check its official notice. However , it is clarified that appearance or a pass in TS-TET by itself will not vest any right in a candidate to be considered for appointment to the post of Teacher in Government / Zilla Parishad / Mandal Parishad / Municipal and Private Aided Schools, unless he is in possession of the qualifications prescribed for appointment to such post in the relevant statutory recruitment rules framed by State Government from time to time as on the date prescribed there in for possession of such qualifications. Details of qualifications prescribed for TS-TET are provided in the Information Bulletin. a) The structure and content of each part of Paper-I and Paper-II of the first TS- TET, and the breakup of the total 150 marks among various parts of the paper are given in the Information Bulletin. Marking scheme: One mark will be allotted for each correct answer. There will be no negative marking in the exam. TSTET Exam Pattern for Paper II Similar to TSTET exam pattern for Paper I, TSTET 2017 exam pattern for Paper II is such that there will be 150 multiple choice questions in the exam that candidates need to complete in a duration of 2 hours and 30 minutes. o/o the Director, SCERT, Opp.E.Gate , LB Stadium Basheerbagh, Hyderabad-500004. TS-TET Office Telephone: 040-65888831; 040-65888832. Application Fee:The fee prescribed for appearing for TS-TET (including examination fee) is Rs. 200/- (Rupees Two hundred only) for only Paper-I or only Paper-II or both. Candidates can pay the fee through TSonline or Payment Gateway centers between as per the schedule(See below) and submit online application at the TS-TET website http://tstet.cgg.gov.inbetween below given dates. Detailed procedure for applying ONLINE is given in the Information Bulletin. Candidates can download the ‘Information Bulletin’ free of cost from the TS-TET website: http://tstet.cgg.gov.in. Candidates can submit their applications online as given below dates. TS TET 2017 Payment end date extended to 29-June-2017 and Application end date extended to 30-June-2017. B.E/B.Tech Graduates admitted into B.Ed for the 2015-2017 batch and who are now in the 4th semester of the 2nd year of B.Ed, 2015-2017 batch are also eligible to appear for TET Examination.